Maybe you’ve messaged the wrong person or there was a better way to say what needed to be said. 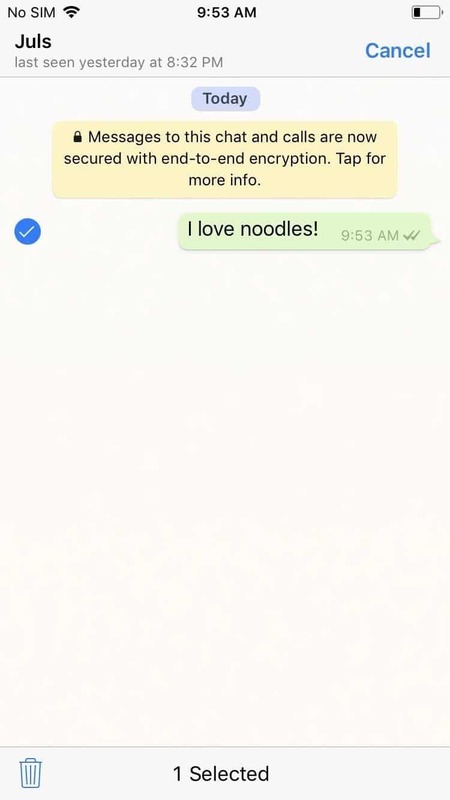 For a long time, it wasn’t possible to delete sent messages in WhatsApp, so there was no way to undo such issues. 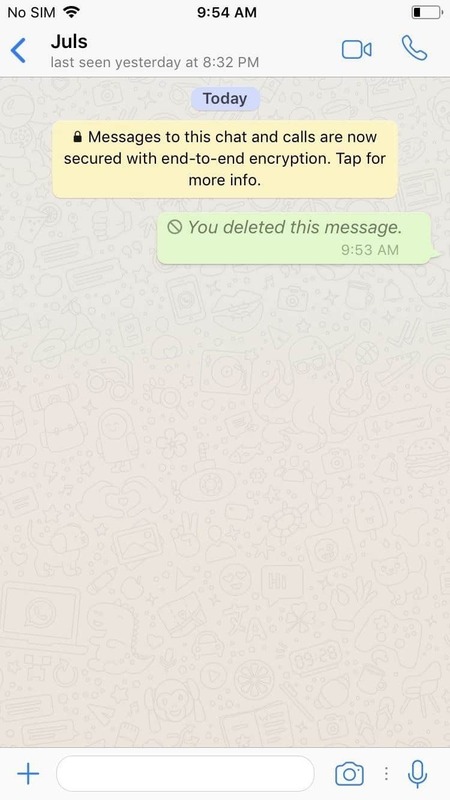 Thanks to the most recent update, both WhatsApp Android and iOS apps allow us to delete sent messages, regardless if they were read or not by the recipient(s). 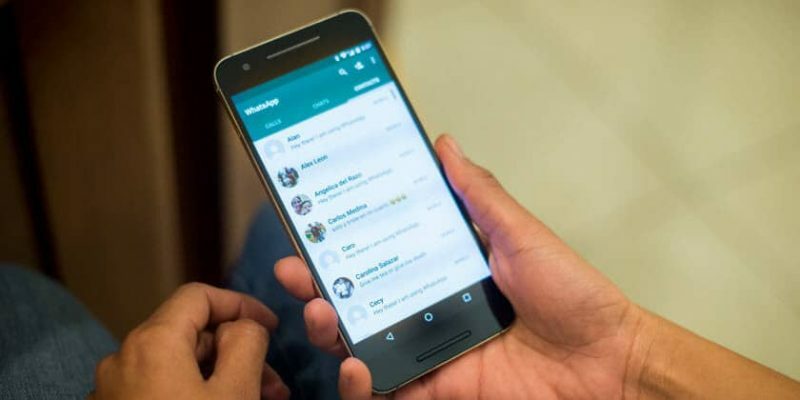 Before we show you how you can delete sent messages in WhatsApp, here are a few things you need to know. This option currently has some limitations. For instance, you have 7 minutes at your disposal to remove a message you’ve sent regardless if it was read or not. Once you pass the 7-minute mark, you won’t be able to delete the message. It’s also worth mentioning that this feature only works if both the sender and receiver are on the latest version of WhatsApp. You might want to let your friends know they should update the app if they want to use this feature. Now, let’s see how you can use it. To delete a message on your Android, highlight the text you want to remove in the conversation by long-pressing it. This will display an options bar at the top. Tap the trash can icon to remove the selected text. A confirmation screen will appear. 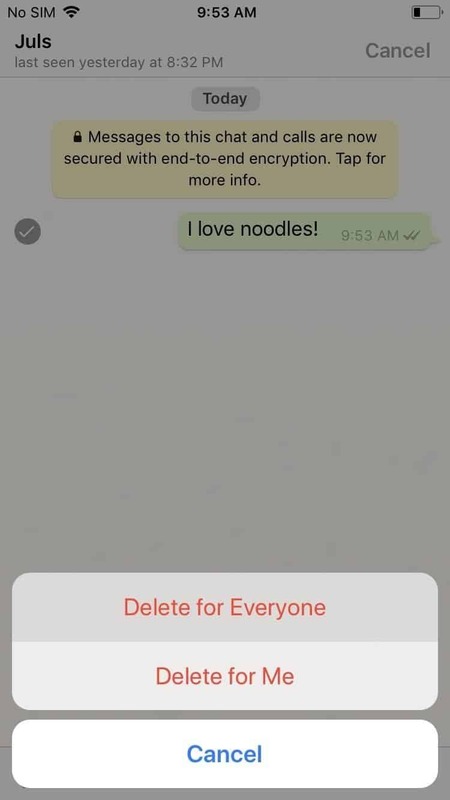 As you can see, you also have the option to delete the message just for yourself, but for the purpose of this guide, select “Delete for Everyone”. This option will remove it for both yourself and the recipient(s). Tap OK on the next prompt to finalize the action. 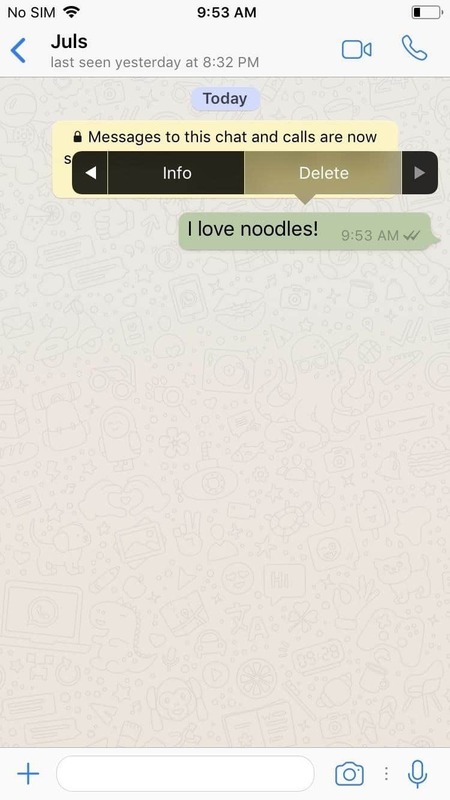 Removing sent messages in WhatsApp on iOS is slightly different than on Android, but not by much. Long press the text you want to remove and a command tab will be displayed on top of the message. Select the “Delete” option and tap on the trash can icon in the lower-left area of the screen. Select “Delete for Everyone” in the pop-up menu and tap OK on the confirmation screen that follows. 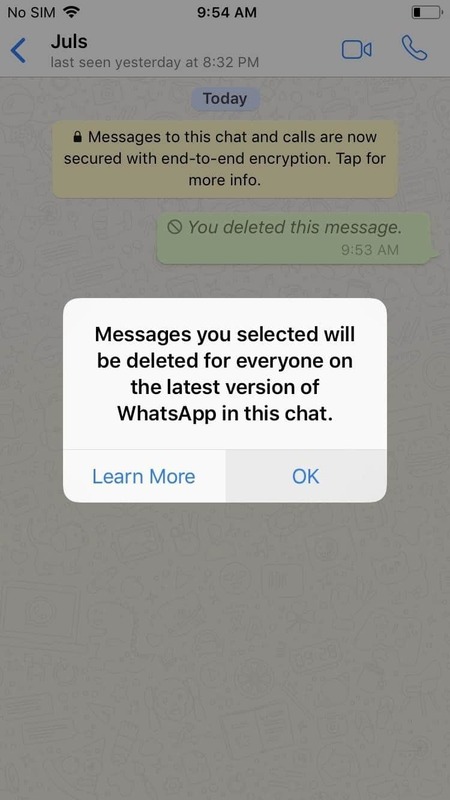 While we only have 7 minutes to delete a sent text at the moment, it remains to be seen if WhatsApp will widen the time frame or even remove the limitation completely in a future update. What do you think about this new feature? Let us know in the comment section!